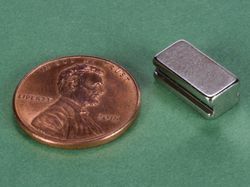 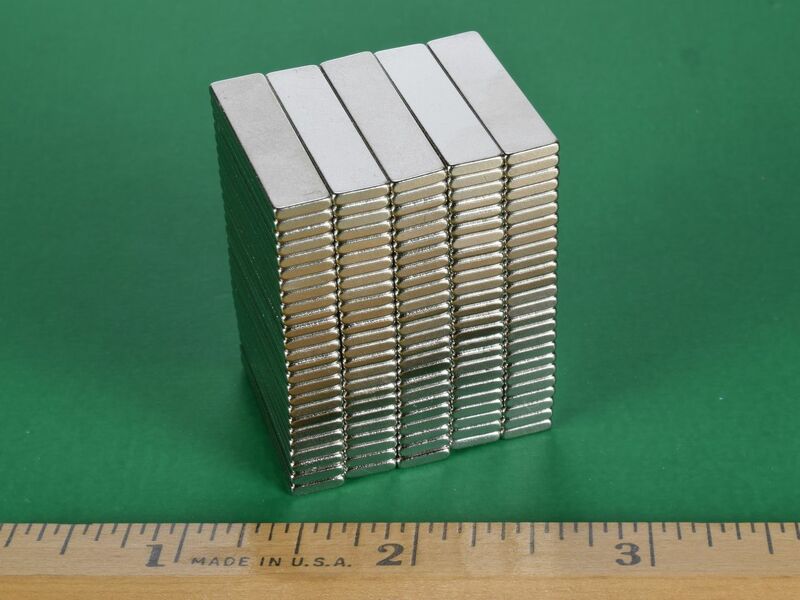 These thin neodymium blocks are very useful for hanging or holding flat metal objects as well as a wide range of other magnetic applications. 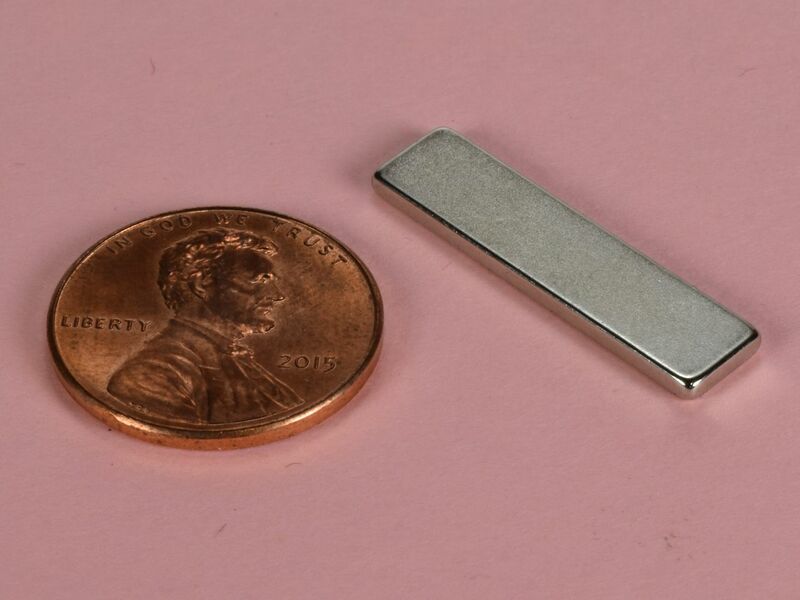 This is a very popular size with the power of N52 grade NdFeB! 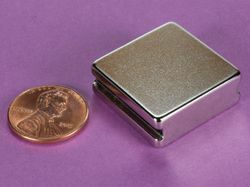 This size is also available in grade N42 as part number BX041.